A beautifully illustrated edition of Frances Hodgson Burnett's beloved novel. The story of Mary Lennox’s rejuvenation in the English countryside has been enjoyed by readers of all ages since it was first published in 1911. 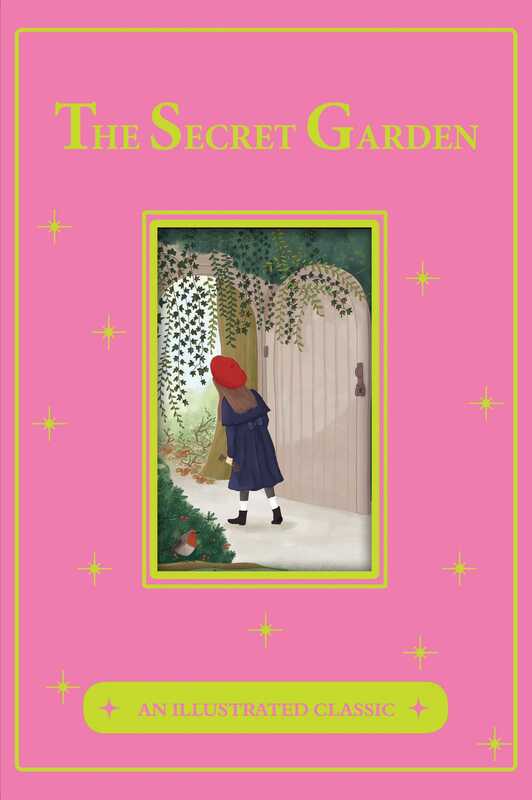 Frances Hodgson Burnett’s classic novel centers around the themes of friendship, kindness, and self-discovery, making it a memorable tale that stays with the reader long after the story ends. Full-page color drawings by illustrator Kelly Caswell add a beautiful touch to the story, making this volume a cherished keepsake. Kelly Caswell is a British freelance illustrator who works from her home studio in the seaside town of Clevedon, Somerset. After completing an Illustration degree at Plymouth University, she worked as a designer at a publishing house in Bath before going freelance in 2009. Kelly illustrated the book Kat's Great Act, which was part of the Bug Club Series that won an award for "Best use of Multimedia" at the British Book Design & Production Awards. Outside the world of illustration Kelly is head chef and chief den maker for her little boy.